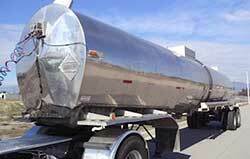 Opperman & Son, Inc. is a Sonoma County icon in the heavy duty truck sales, parts, and service industry. Our facility is located on 8 acres in the midst of Healdsburg's wine country. We are a full service center for the trucking industry offering new and used parts, body shop, repair shop, welding shop as well as equipment sales. Minimum of 3 years cargo tank repair experience REQUIRED! Repeated walking, bending, stooping, crawling, balancing, kneeling, crouching, and use of stools and ladders. Must be willing to work flexible hours, including aweekends. While performing the duties of this job the employee is exposed to moving mechanical parts, odors, and airborne particles. We offer an excellent working environment and a strong un-capped compensation package, including base salary. Opperman & Son, Inc. is seeking an Journeyman level technician. Duties include but are not limited to engine diagnosis, rebuliding, removal & replacement, electrical, computer, transmissions, differentials, clutches, pumps, brakes, hydraulics, air systems, propane, etc. Experience with all diesel makes and models preferred. If you are a proven self motivated individual that possesses a positive work behavior and the drive for continued improvement contact us to discuss this opportunity in further detail. Must be willing to work flexible hours, including weekends. We are currently accepting applications for an apprentice welder/fabricator with mechanical ability for our heavy-duty diesel truck dealership. Primary responsibilities include the use of acetylene and electrical equipment in the fabricating, heating, welding, and cutting of ferrous and non-ferrous metals in accordance with standard trade practices to retrofit and repair heavy-duty equipment. While performing duties of this job the employee is exposed to moving mechanical parts, odors, and airborne particles. We have recently become the exclusive dealer for Wabash Diversified Products for several West Coast states and are expanding our sales team for this once in a lifetime opportunity to represent the premier product lines of: Brenner, Walker, BULK, Beall, and Progress Tank. We are currently seeking candidates for the role of Used Equipment Sales Representative in Healdsburg, Ca area . You will be responsible for managing a portfolio of existing business, while growing your territory and securing new customers. 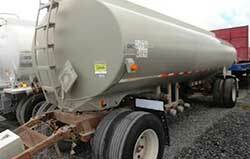 Selling a complete range of trailers for bulk hauling including Brenner, Walker, Bulk, and Progress tanks. A "can-do attitude," excellent communication skills, and a sharp analytical mind are very important. Prior experience in bulk transportation is a must, as well as prior sales experience and a demonstrated track record of success. You must have a working knowledge of Microsoft Office products. Opperman & Son, Inc. is a family owned and operated business in Healdsburg for over 50 years. An icon in the heavy duty truck industry selling and servicing previously owned equipment. Our facility is located on 8 acres in the midst of Healdsburg's wine country. We are a full service center offering new and used heavy duty parts, body shop, repair shop, welding shop as well as truck and trailer sales. We have been in business for over 50 years in Sonoma County and on our fourth generation of family involvement, due to our commitment to honesty, quality, and customer satisfaction. Here at Opperman & Son, we are committed to ensuring our employees feel like family. We offer competitive compensation, 401k and profit sharing plan, and health benefits. 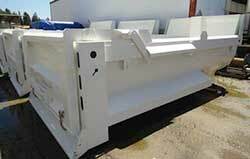 Opperman & Son is one of the largest used equipment dealers on the west coast. Our goal is to handle our customer's needs full circle by selling new and used equipment; new and used parts; and service with our complete repair shop, welding shop, and body shop department. Our "R"-stamp DOT tank repair/inspection facility has allowed us to specialize in tank and trailer repair at our Healdsburg, CA location. This position reports directly to the Service Manager. Primary responsibilities include supervising and directing the completion of shop repair orders. 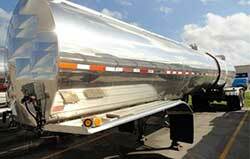 Repair and inspection of various types of cargo tanks, (ie: DOT 406 and MC 306). Duties include supervising and training in the use of acetylene and electrical equipment in the fabricating, welding, and cutting, of ferrous and non-ferrous metals in accordance with cargo tank regulations. Lay out, fit, and fabricate metal components to assemble machinery frames, truck bodies, and pressure vessels.